Real me 2 pro comes with small water drop notch is having a 6.3-inch (1080x2340 pixels) full-HD+ screen with 90.8 percent screen-to-body ratio, 19.5:9 aspect ratio and 409ppi pixel density the realme 2 pro has a plastic back with and glass finished the design. Real me 2 pro has the dual rear camera setup with 16-megapixel sensor with f/1.7 aperture, 1/2.8-inch Sony IMX398 sensor, 1.12-micron pixel size, and 6P lens. It supports 4K video recording at 30fps and another 2-megapixel secondary depth sensor. At the front, there is a 16-megapixel sensor as well with f/2.0 aperture, and AI Beauty 2.0 for better selfies. 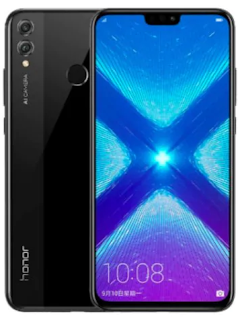 Honor 8x has a dual rear camera setup with a 20-megapixel primary sensor and a 2-megapixel secondary sensor, coupled with f/1.8 aperture and PDAF. On the front, the Honor 8Xsports a 16-megapixel selfie camera with f/2.0 aperture and fixed focus. The Realme 2 Pro packs a 3,500mAh battery, slightly less than honor 8x, real me 2 pro does not support the fast charging. Connectivity options include USB OTG, Wi-Fi 802.11 ac, Bluetooth, 4G VoLTE, GPS, and more. Sensors on board the Realme 2 Pro include light and distance sensor, acceleration sensor, gyroscope, and geomagnetic, sensor headphone jack, fingerprint scanner. The Realme 2 Pro dimensions are at 156.7x74.0x8.5mm, and it weighs 174 grams. There is a non-removable 3,750mAh battery under the hood, with support fast charging but in the box, you will get 5V/2A (10W) charger and a power saving battery features. Connectivity options include 4G VoLTE, dual-band Wi-Fi 802.11ac (2.4GHz and 5GHz), Bluetooth v4.2 LE with aptX support, GPS/ A-GPS, GLONASS, BeiDou, a Micro-USB port, and a 3.5mm headphone jack, fingerprint scanner. 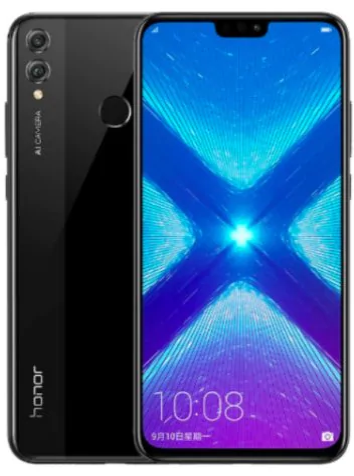 The Honor 8X measures 160.4x76.6x7.8mm, and sensors on board include an ambient light sensor, compass, fingerprint sensor, gravity sensor, gyroscope, and a proximity sensor.